Welcome to another challenge from the I ♥ Promarkers Challenge Blog. 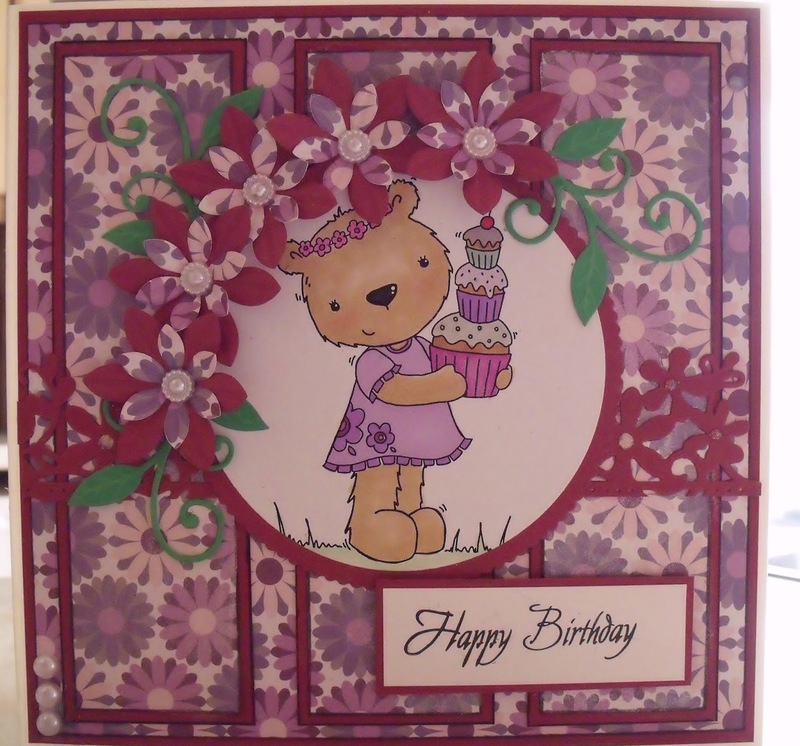 This fortnight the theme of our challenge is make a 'Birthday Card". 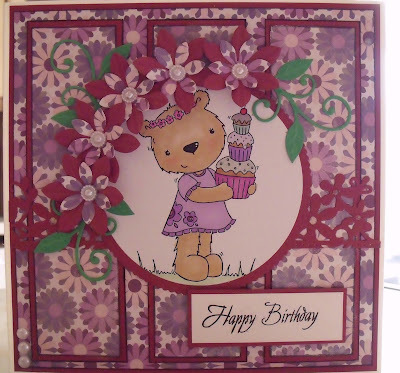 Image is from Little Miss Muffett and the flowers are from Sarah's Signature Range from Crafters Companion, the sentiment is a Woodware stamped one, the papers are Trimcraft and the card is from Lidl. You can't see it in the image but there is a lot of Crafters Companion sparkle pen on this card! Welcome to another challenge from the I ♥ Promarkers Challenge Blog. This fortnight the theme of our challenge 'Christmas in July". Image is from Crafters Companion and the flowers are from Tattered Lace, the sentiment is a Hobby House one, the papers are Nitwit designs and the card is from Lidl. You can't see it in the image but there is a lot of Nuvo sparkle drops on this card! I chose to use Fairy Tale Unicorn. Which has been coloured with promarkers, sentiment is computer generated, Backing paper is from Craftwork Cards - Rosa, NestabilityFancy oval, Crealies XXL Double stitched circle, Sara's Signature range flowerdies, Pearls and pink paper from stash and crafters companion clear sparkle pen. Thank you for looking and for any comments you may like to leave. I chose to useHole in One Hal which work so well together. They have been coloured with promarkers, sentiment is a clear stamp and the gold bag is die-cut. I chose to use Martial Arts Boy and Martial Arts Girl which work so well together. They have been coloured with promarkers, sentiment is hand written and the stars are die-cut. I ♥ Promarkers Challenge # 310 - Inspired by a song or film. Welcome to another challenge. We are being sponsored by Digital Delights and this image is called Captain Colin. My card has been inspired by the film The Avengers, it has been coloured with promarkers, the papers are also from digital delights, I have also decorated the card using some buttons. Welcome to another promarker challenge. This time we are sponsored by Ike's Art and we have an anything goes challenge. All other embellishments are from my stash. Thanks for looking and for any comments you may like to leave.